Before Judge was crushing homers for the New York Yankees, he was slamming the gavel all over Cape Cod for the Brewster Whitecaps. 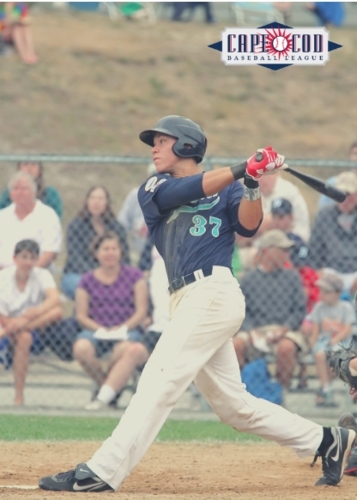 In the summer of 2012 Judge was a member of a Brewster Whitecaps team that struggled to win games and missed the playoffs. But Judge still held court. During the 2012 season Judge was able to display the power of the gavel by leading the Whitecaps in home runs with 5 on the year. Judge was also able to show his ability to create good contact as he slashed .270/.365/.450 with an impressive .815 OPS. The 6’7” right-handed hitter was also able to drive in 16 runs while scoring 18 runs himself in his 32 games with the Whitecaps. Despite missing significant time with the Yankees last season, Judge was still able to help lead the Bronx Bombers to a 100 win season and postseason appearance. Best of luck to Aaron in the 2019 season!